Sal's Italian Restaurant And Pizza presents Pasta Night every Monday from 3:30-9:30 pm. 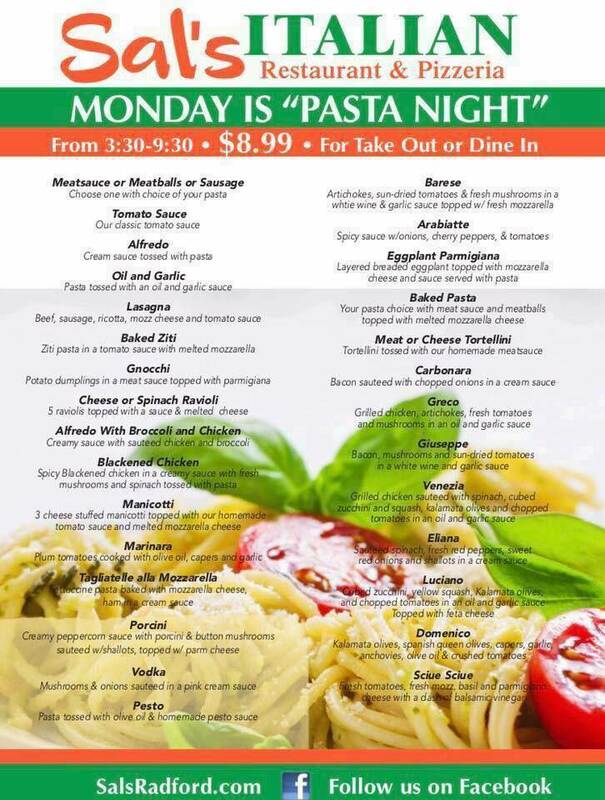 Monday is Pasta Night at Sal's! Enjoy your pasta dish of choice for dine in or take out for $8.99 on Sal's select pasta. To view the Pasta Night flyer, visit: https://i.imgur.com/O8iuxol.jpg. For more information, visit: http://www.salsradford.com/ or https://www.facebook.com/SalsRadford or call 540-639-9669.